"The game will be available on iPhone and iPod Touch this Thursday, August 4th for £10.99. An iPad version will be released later in the month," the blog posting reads. It also points out some new additions fans of the game should expect on the platform. "The remake features improved graphics, a significantly improved script translation, beautiful animated cutscenes and extra features." 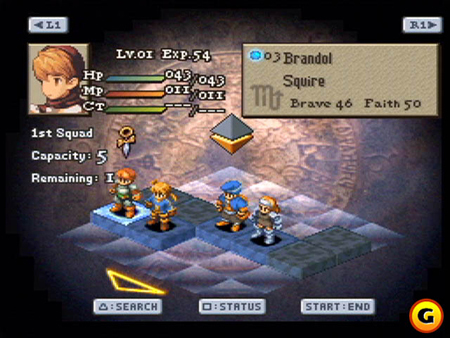 Final Fantasy tactics was first released on the original Playstation and later ported to the Playstation Portable with "War of the Lions" added to its title. The iDevice version will bear many similarities to that release, which already improved the visuals and other aspects of the original game. 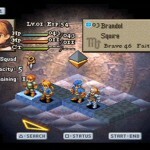 If you don't know it, the game is a strategy role-playing game based on the characters of the Final Fantasy series. Some gamers compared its tactical battle system as akin to playing a thought-out chess match. Fighting is done on a grid with various attacks and magical abilities at the players disposal for each character they control. Look for the game in the coming days at a surprisingly high price of £10.99, or $15.99 in the US.